'Pakistan has faced severe stumbling blocks pertaining to its diplomacy at Financial Action Task Force (FATF) meeting where Pakistan could not convenience the FATF for removal from grey list. Among all the myriad challenges that Pakistan is facing, lack of coherent national and foreign policies are the uphill tasks of the country. The foreign policy of Pakistan is basically the reflection of national policy. Pakistan’s foreign policy has remained fragile, unfortunately, after the Afghan war. Undoubtedly, Pakistan’s earlier leaders tilted foreign policy towards United States and it is being carried out so till date. There exists a popular notion that the foreign policy of Pakistan has never been formulated in Parliament rather the invisible hands run it. This, perhaps, be justified as the major foreign policy decisions whether it was Afghan war or War on terror were carried out by the military rulers. 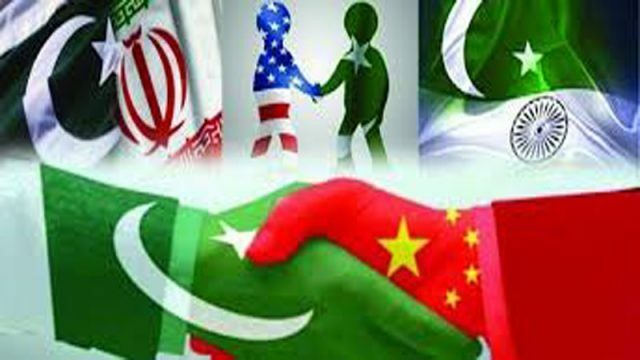 Going no before 2018, presently, Pakistan is encountering several foreign policy pressures that need immediate heed by the would be government. The coherent national policy is the need of time. Previously, It has been witnessed that the projects initiated by the one government either intermitted or made politicized by the successive governments. Islamabad Motorway, Diamer-Bhasha Dam, Kalabagh Dam, Iran-Pakistan gas pipeline are amongst the worst victimized projects due to political point scoring in the country. Meanwhile, there is unheeded problem of national unity in the country that has become the primary source of provincialism. The grievances of smaller provinces against large populated province are a big threat to the national unity. However, there are justified reasons behind the issue. The non-mean distribution of NFC Award, undue share to provinces of their resources, low budget allocation to the smaller provinces are the uphill national issues that would need heed of the government at first. Moreover, the political stability and bringing politicians on the same page pertaining to policy issues will be uphill task of the government. Certainly, better national policy will draw the attention of the government to the changing apparatus of regional and global stage. Firstly, a popularly supported foreign policy needs coherent national policy. The national and foreign policies are inextricably linked. When country’s internal issues are resolved, it brings harmony and good governance at home. Moreover, the trust worthy civil-military relation is inevitable that paves the way for independent foreign policy in the parliament. Meanwhile, It will be a challenge for the government to manage the relations with the United States, China, Afghanistan and India. The first two are the economic aide of Pakistan, while the latter two has always been the source of border and terror tensions in Pakistan. Therefore, maintaining friendly relations with this tetra would need complex considerations. Besides this, upgrading the status of Pakistan on global stage would be another challenge for the government. Recently, Pakistan has faced severe stumbling blocks pertaining to its diplomacy at Financial Action Task Force (FATF) meeting where Pakistan could not convenience the FATF for removal from grey list. The global watch dog, however, did not consider Pakistan remove from the list. Putting Pakistan on FATF will vandalise Pakistan in two ways. One, it will hamper the Foreign Direct Investment (FDI) and Foreign Portfolio Investment (FPI) as it will be discouraging to attract investors to the country that has been allegedly financing the terror outfits. So, the investors always tend to take rational decisions and avoid uncertainty of the business markets. Thus economy will suffer unprecedented loss reluctantly. The other jolt that it could bring is that the country’s bilateral relations will fail prey to more complexities with the United States. These strained relations will, undoubtedly, detriment already fragile glory of the country. In addition to it, the changing regional apparatus is also another hassle waiting for the government. In this regard, bringing India on the table talks will be a challenge for the government, but India’s hegemonic attitude in the region can further cause meddling and situation of insecurity in the region and that in Pakistan particularly. Resuming talks with conclusive results will not be a cup of tea for next government between the all times archaic enemies. The Kashmir issue, line of control saga, and element of Afghanistan will be crucial challenges to be resolved at first. However, the changing world order can be cashed by the PTI government to overcome the issues. In this lieu, the platform of Shanghai Cooperation Organization can be used effectively. For Pakistan, it will be a greater opportunity to convince India on several issues including Kashmir issue to bilaterally resolve the bone of contention and enhance the security cooperation between the states. Moreover, Avoiding begging bowl to the IMF and other high interest rate loans need to be the policy options for the would be government. Incurring benefits from the China Pakistan Economic Corridor (CPEC) should be the priority of the government to make Pakistan’s economy self-reliance. The PTI-led government has to adopt national policies and foreign policies taking the parliament in confidence for the sake of prosper and progressive Pakistan.